The 4R Nutrient Stewardship Certification Program has announced that Town & Country Co-op’s facilities located in Loudonville, Smithville, and Sullivan, Ohio have been added to its growing list of nutrient service providers to achieve certified status. Town and Country Co-op, located in north central Ohio, has approximately 1,000 active farming member-owners who depend upon the company for its effective agronomy, feed and grain solutions. It values results that come from its focus on customers’ needs and employees’ passion and integrity. “I’m proud of our agronomists’ and branch operations’ commitment to recommending and applying only the products that are effective and minimize environmental impact,” said Town and Country Sales Manager Don Daniels. More than 1.1 million acres and 3,040 farm clients are serviced by those who have received 4R Nutrient Stewardship Certification. “Town & Country’s employees worked very hard to ensure that its operations were following the 4R’s, and we congratulate them for their stewardship practices and success,” said Andrew Allman, executive director of the Nutrient Stewardship Council. “By becoming 4R Certified, Town & Country has proven its dedication to the long-term improvement of Lake Erie’s water quality,” said Carrie-Vollmer Sanders, Nutrient Stewardship Council chairwoman. “We are proud of all nutrient service providers that have begun the process of becoming 4R Nutrient Stewardship Certified. 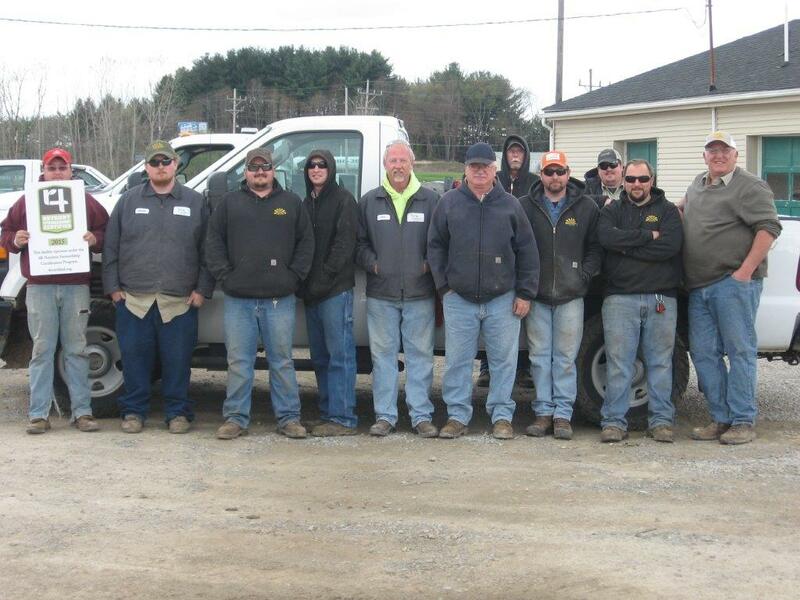 CUTLINE: Employees at Town & Country Co-op’s Loudonville facility receive their 4R Nutrient Stewardship Certified sign. From left to right: Ben Hastings, David Taylor, Chris Beck, Greg Heiby, Jim Uhler, Tom Doup, Brian Johnson, Jason Burd, Jacob Carpenter, Dustin Hans, and Marty Rice. 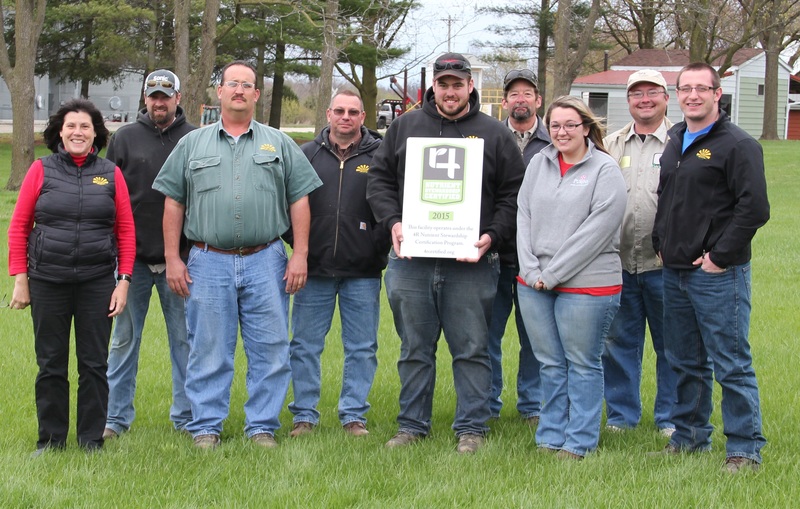 CUTLINE: Employees at Town & Country Co-op’s Smithville facility receive their 4R Nutrient Stewardship Certified sign. From left to right: John Calame, Dave Stahl, Chuck Hartzler, Kirk Gasser, John Kauf, Zane Dilyard, Brian Lance, David Bowers, Nate Wellert, Jordan Boreman, Brandon Eicher and Ed Geitgey. 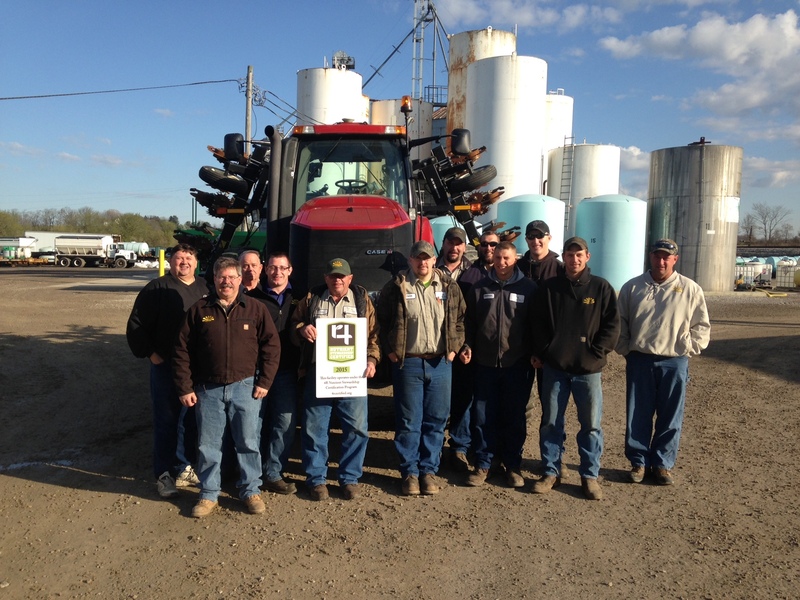 CUTLINE: Employees at Town & Country Co-op’s Sullivan facility receive their 4R Nutrient Stewardship Certified sign. From left to right: Jean Bratton, Jim Diedrick, Dan Slarb, Glen Mayer, Ben Subotin, Scott Seabold, Andrea Denbow, Max Walters and Kirk Gasser.